Witness Kenya's denizens - endangered black rhinos, lions, reticulated giraffes and leopards - as you visit an elephant orphanage and chimpanzee sanctuary and meet the nomadic Samburu tribe. View Kenya's wildlife during a diverse itinerary to distinct, game-rich regions, where endangered black rhinos thrive. Visit Daphne Sheldrick's Orphanage, where young elephants interact with handlers before returning to the wild. Feed the tallest animal in the world at the Giraffe Center, a haven for the gentle giants. Visit Kenya's only chimpanzee sanctuary in the Ol Pejeta Conservancy, which is also one of the largest rhino sanctuaries in East Africa. Acquaint yourself with the local Samburu people, who share their knowledge of fire-starting, spear-throwing and animal tracking, as well as beadwork and leatherwork. Attend a Chef's Table experience and cooking demonstration of Swahili-influenced dishes. Visit the Giraffe Center to feed endangered, graceful Rothschild giraffes. Continue to Daphne Sheldrick’s Orphanage to see small elephants cared for by attentive keepers until being returned to the wild. Join fellow guests for a welcome dinner. 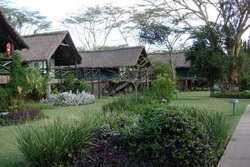 Drive to the Sweetwaters Reserve within the Ol Pejeta Conservancy at the foot of Mount Kenya. 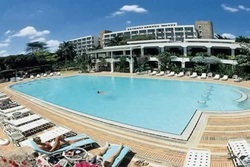 Set out by safari vehicle, or take an optional escorted walk or a night game drive. 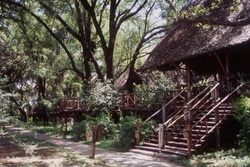 You may even view game from your tent’s private veranda, which overlooks a frequented, floodlit waterhole and salt lick. Sweetwaters is an excellent place to see two of Africa’s most endangered species: black rhinos and chimpanzees. Special reserves keep them safe and help the species thrive. Travel to the bush of the Samburu Game Reserve, where your comfortable tented camp is perched along the banks of the Ewaso Nyiro River. The river serves as a lifeline and nerve center of this reserve; animals congregate along its banks to quench their thirst. The reserve is also home to the pastoral, nomadic Samburu people. After an early-morning game drive, return to camp for breakfast. Then, visit a local Samburu village to learn about the tribe’s traditional lifestyle and customs. 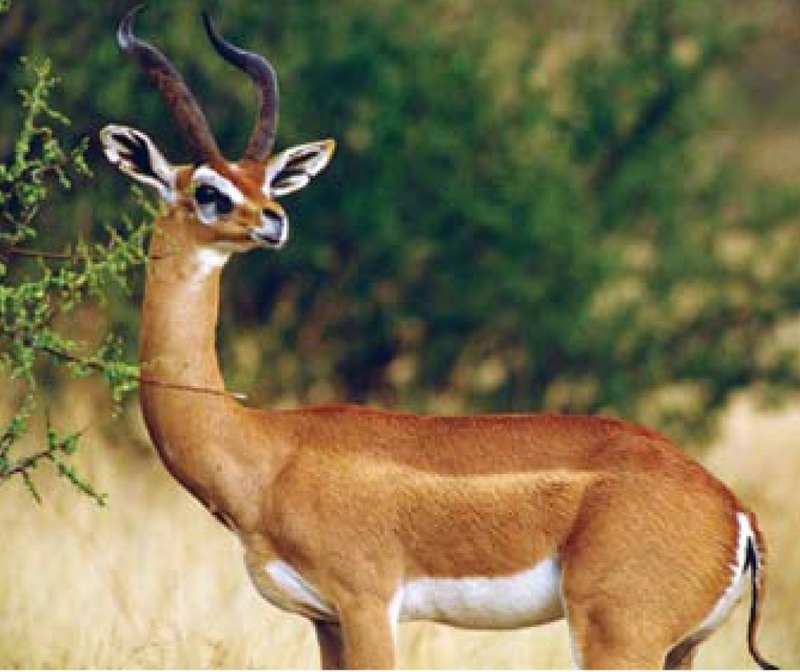 During your stay in Samburu, you may also choose to take guided game-tracking walks. 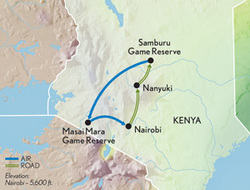 Awaken to the sounds of the wilderness, and board a flight to the Masai Mara, your home for the next three days. 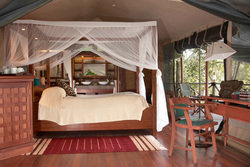 Arrive at your luxury tented camp at the confluence of the Mara’s four game viewing regions. Take morning and afternoon game drives through the limitless landscape, looking for buffalo, elephants, rhinos, lions and leopards. You may also take an optional hot air balloon safari (added expense). On your last evening, join fellow guests for a farewell dinner. *Visit a local primary school, supported by A&K Philanthropy. Fly back to Nairobi, and relax in your dayroom until your homebound flight.